Cars like the 164 don't just "sit in the garage" for no reason. They also don't sell for $1500.00 in nice shape. There is most likely something wrong with this car. We just don't know what, as the seller gives us no useful information. The seller says it has low miles. (Well, yeah. It's been "sitting.") He also says it has a "Pininfarina badge on the side." 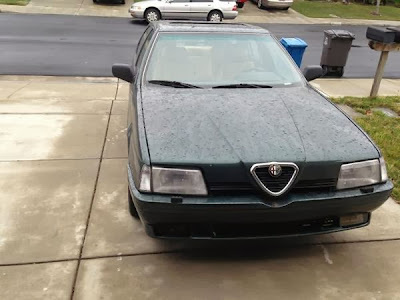 That's important to know when you're looking at a non-running Alfa. ;-) (Actually, he states that it has "Pinafarina" badge.) Knowing the model year would be cool, but we're not told that. 164s are a blast to drive. They are not all that easy to work on, however. 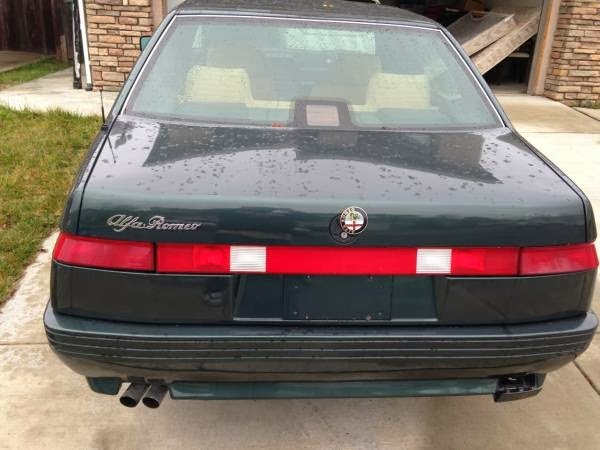 And, even though it was the last Alfa sold in the US (not counting the 8C), some parts can be a pain to acquire. I love the color of this 164. I love that it has a manual transmission. I hate the ad. Maybe this car needs very little to bring it back to life. Maybe it was given to the seller and, tired of having it take up garage space, he's selling it cheap to free up room. We just don't know. If you live nearby, you may want to check it out. Located in Fremont / Union City / Newark, CA (is that one city, or three? 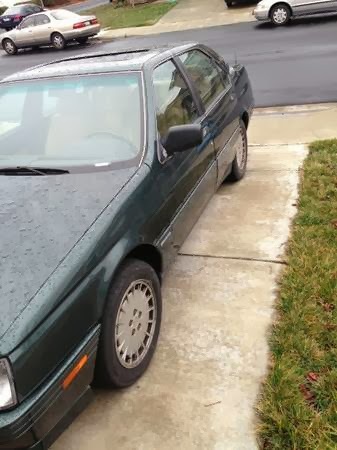 ), click here to see the Craigslist ad. 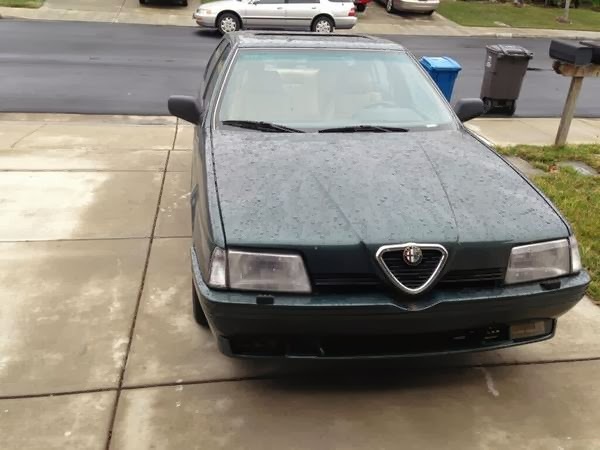 With a smashed fog lamp, misaligned headlight,and missing badge on the rear, it's possible this car's not perfect like the seller says... but for $1500 perfection is out of the question anyways. And these will easily pass 200K with proper care and attention, my sister's ex had one like that and it was still a nice drive. Owned two of these in the past. Amongst the most expensive vehicles to maintain that I have ever had, and I have had many. A real PIA to work on. Parts, especially on the later 24v cars, were becoming unobtanium. you need to start a bad ad blog!! !